Use the Order details (double click on any order in the Inbox tab to get to Order details) screen to view the details of an order OR to process payment and shipping manually. You can also edit the order details and move back and forth using the back and forward icons. You can also click the ship order button to generate a shipping label directly from this screen. You can also click the icon to refresh / redownload the order details. This means that if you have downloaded the order and something has changed on the online store, then you can click this button to download all the latest attributes and the new order status. 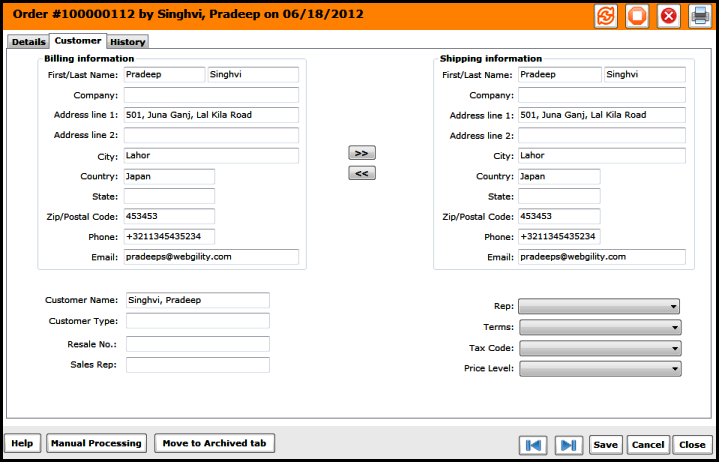 Use this screen to view customer details. 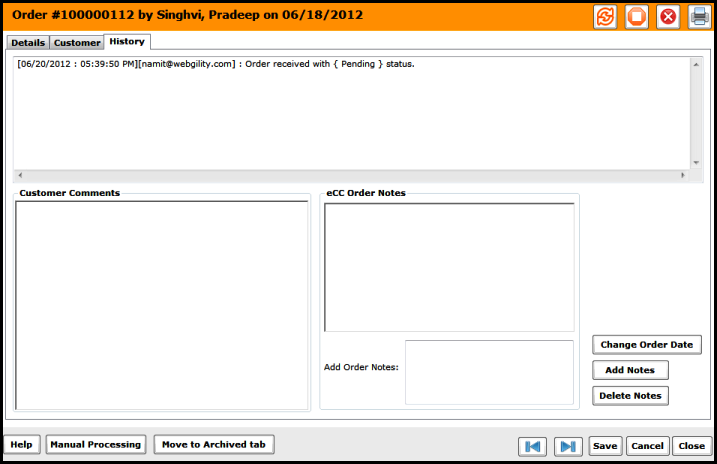 The back and forward icons can be used to move back and forth between customers in various orders. 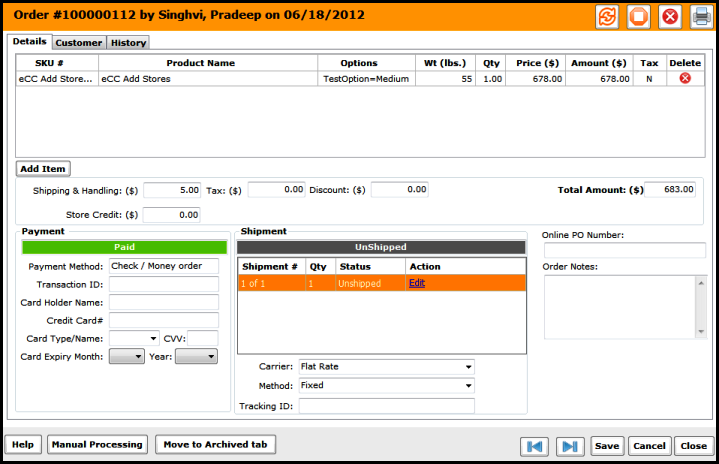 Use this screen to see order and error history.